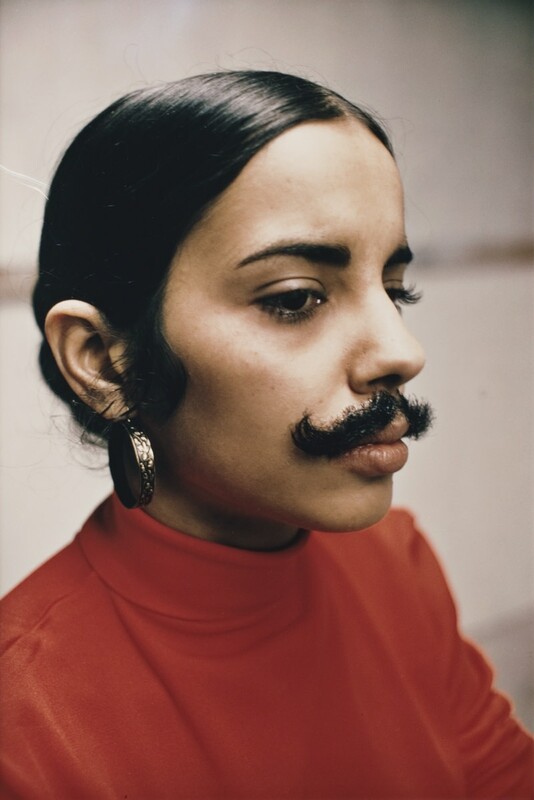 Ana Mendieta (b. 1948, Havana; d. 1985, New York) was a Cuban born artist whose practice included sculpture, performance, photography, film, video, drawing and site-specific installation. Her works refer to cultural, religious and artistic influences, from Afro-Cuban and indigenous Caribbean traditions to Catholicism, to conceptual art and post-minimalism. Working from the early 1970s through to the mid-1980s, Mendieta pioneered themes such as displacement, identity politics and the female body which continue to forefront the work of major contemporary artists today. Mendieta is best known for her Silueta Series, or what she referred to as her “earth-body” works. Her silhouette was sculpted from various materials in outdoor landscapes and continued Mendieta’s focus on her connection with the natural world. Mendieta’s work has been written about extensively. There are six key monographs including Covered in Time and History: The Films of Ana Mendieta, (Katherine E. Nash Gallery, University of Minnesota; University of California Press, 2015), Ana Mendieta: Traces, (Hayward Gallery, London, 2013); Ana Mendieta: She Got Love, (Castello di Rivoli, 2013), Ana Mendieta: Blood & Fire (Galerie Lelong, 2011), Unseen Mendieta: The Unpublished Works of Ana Mendieta, (by Olga Viso, Prestel, 2008); Ana Mendieta: Earth Body, Sculpture and Performance 1972 – 85, (Hirschhorn Museum, 2004). The Estate of Ana Mendieta Collection, in collaboration with Galerie Lelong, recently completed cataloguing and preserving the entirety of Mendieta’s moving image works, discovering that the artist made more than 100 films in the ten-year period in which she worked in this medium. The largest collection of Mendieta’s film works ever presented is a full-scale gallery exhibition which was organized by the Katherine E. Nash Gallery, University of Minnesota in 2014 touring within the USA and with eurpopean venues including Martin Gropius Bau, Berlin (2018) and Jeu de Paume, Paris (2018-19). Alison Jacques Gallery has represented the Estate of Ana Mendieta Collection in collaboration with Galerie Lelong since 2010. The most recent showing of Mendieta’s work in London was Ana Mendieta: Metamorphosis, at Alison Jacques Gallery (2017) followed by a one day event: Ana Mendieta: Body Tracks, Tate Modern (2018). This included a screening of 27 of Mendieta's films, from 1971 to 1974, with a panel discussion featuring Raquel Cecilia Mendieta in conversation with Catherine Wood (Senior Curator, International Art and Performance) and Michael Wellen (Curator, International Art specialising in Latin America). Mendieta’s work has been acquired by major museums worldwide including: Tate, London; Centre Georges Pompidou, Paris; Museo Nacional Centro de Arte Reina Sofía, Madrid; San Francisco Museum of Modern Art, California; Whitney Museum of American Art, New York; Art Institute of Chicago, Illinois; 21st Century Museum of Contemporary Art, Kanazawa, Japan; Centro Cultural Contemporaneo, Mexico Chase Manhattan Bank, New York; Art Gallery of New South Wales, Sydney, Australia.